Due to the nature of our business, we review each booking enquiry individually. We will revert within 24 hours (Mon to Fri) to discuss your group’s requirements in more detail. Balance of group package fee is due on arrival. If the balance of payment is not received 3 weeks in advance we reserve the right to treat your booking as cancelled. 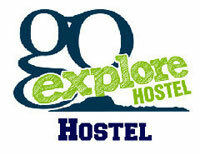 The hostel retains the right to re-sell cancelled beds. If a planned activity is cancelled due to adverse weather conditions, an alternative option will be offered to the group. 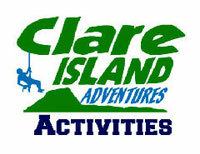 A refund is only applicable if the activity providers are unable to offer an alternative. For each installment, we generate an invoice which is e-mailed to you and payment is requested through bank transfer. Initial deposit covers the adventure activity part of the booking and is paid to Adventure West Ltd whose insurance covers the adventure activity part of the package. 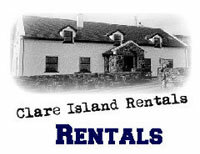 Remaining payments cover accommodation at Go Explore Hostel, food at Sailor’s Bar plus return ferry crossing with Clare Island Ferry Co Ltd and is paid to Go Explore Hostel. Different minimum age and health conditions are attached to each activity we offer. Please check these in relation to your group and discuss with us if you are unsure about anything highlighted. Winter sailings to the island are subject to weather conditions. When deemed unsuitable for the ferry crossing, we have an arrangement with a quality hostel on the mainland where the package can be adapted to meet the change in location. If your numbers drop between the payment of your deposit and up to 4 weeks prior to the outing, we will refund the deposits on the cancellations, minus a cancellation fee of €4 per person. There are no refunds on the second installment payment (due 4 weeks prior to outing). Singles weekend cancellations received within four weeks are not entitled to refunds – these may be issued at our discretion depending on ability to refill the spaces. There is no refund on cancellations received within 48 hours of the booked outing.